Toward the end of 1994, I asked Hiro to illustrate two projects. Unfortunately these became our last collaboration, since his life ended prematurely, probably from a form of pneumonia, in January 1995, when we were still just talking about creating something as art rather than for commercial interests. 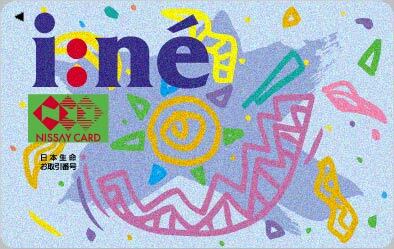 Japan Life Insurance Company's "i:né"(pronounced as 'ee ne') card. This is a membership card targeted for people in their 20s. Even though it was honored by being chosen from over 100 designs, Hiro didn't seem satisfied with his own illustration. Idemitsu-kosan (Industrial) Car Battery I did some designs for the exterior of the battery using Hiro's illustrations. Although unfortunately they were not selected, you can see the extraordinary power in his strokes. I was hoping to continue creating more work with him, harmonizing typography with his illustrations, as in this sample.